The oldest division of Dalal is the Chemicals Division. The products in the Chemical Division range from Rotary Vacuum Dryers to Wiped Film Evaporators. 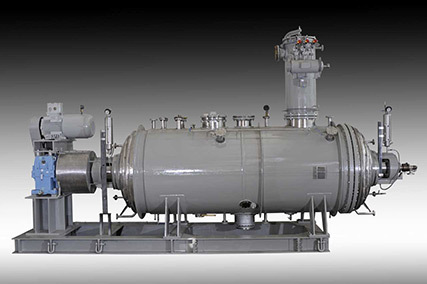 The Wiped Film Evaporator is used for concentration, distilling, stripping, dehydration and deodorisation of products which are heat sensitive or viscous. The equipment can handle a very wide range of feed compositions ranging from 1% to over 95% concentration. WFE has several advantages as stated in the table below. The operation is continuous with a single pass; the self cleaning continuous contact wipers produce and renew the thin film. Such an operation improves product yield, avoids residue and colour formation. It has an internal condenser (optional) that minimizes the pressure drop and maintains vacuum. The operation process in the WFE is simple but yet effective. Feed is introduced at the top of the unit and spread on the shell inner surface by the rotating distribution plate. Specially designed wipers wipe the feed thus creating and renewing the film. This thin film enables an efficient heat transfer even for highly viscous fluids. 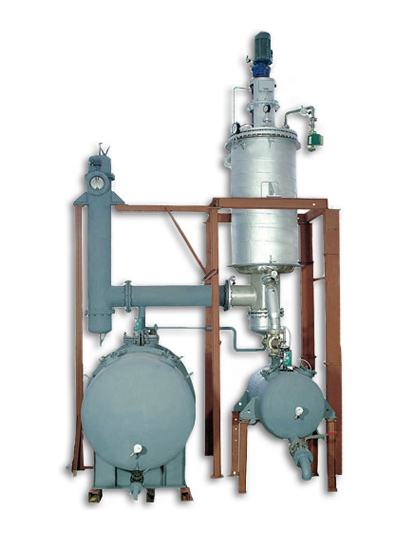 The low boiling component evaporates and passes through an entrainment separator. This minimizes the carry over of liquid droplets along with the vapors. The vapors are removed through the vapor line to an external condenser (optional) and condensed. 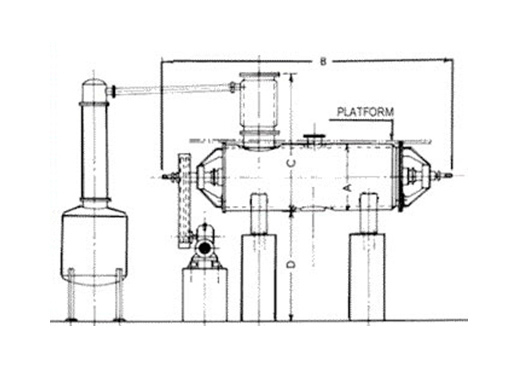 For specific applications which demand low pressure drop, the central section of the evaporator is provided with a condenser, thus making the unit a short path/molecular distillation unit. In this case, the vapors are allowed to condense on the outside of the tube bundle and flow out of the vaporator via the condensate outlet provided at the centre. The high boiling component flows along the shell wall and is discharged from the product outlet. Wiper action is important in promoting downward flow. The product/concentrate should be in fluid form at the operating temperature. Different designs of rotors are available depending upon the product, its viscosity and the process pressure. Manufactured WFE in 904L, Hastelloy, C276, C22. 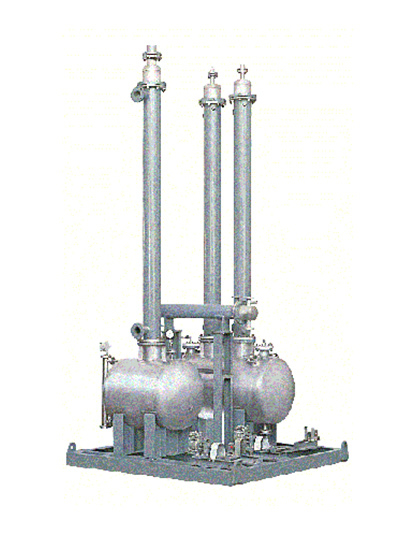 A Falling Film Evaporator is used for concentration and evaporation of relatively low viscosity liquids. Steam, hot water or hot oil is used as the heating media and the process is carried out under atmospheric or vacuum condition. The Evaporator is used for volume reduction where dilute products are concentrated to a medium concentration. The process is continuous. The liquid to be concentrated is fed from the top and a distributor ensures proper feed distribution in each of the tubes. The distributor also ensures that all tubes are wetted and that the liquid flows in a film. The liquid and vapour both travel vertically downward. Due to a relatively thin film, the heat transfer coefficient is better than that obtained in reactors and simple shell and tube evaporators. If further concentration is required, the concentrated product can then be fed to the WFE. Dalal Engineering supplies complete systems consisting of one or more wiped film evaporators, falling film evaporators, auxiliary condensers, sub-coolers, receivers for residue and concentrate, vent condenser, vacuum system, interconnecting piping with instrumentation, valves etc. 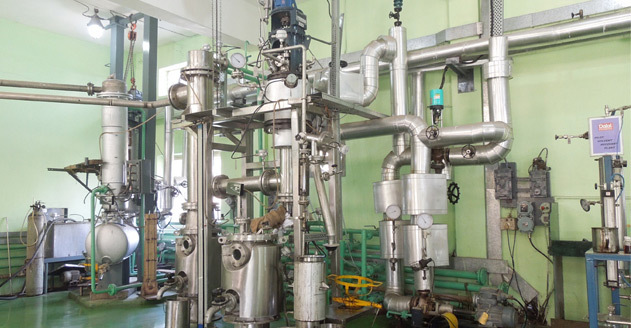 A prototype Wiped Film Evaporator system is available at its Thane factory where trials can be conducted to determine feasibility and equipment with guaranteed performance can be offered. Other sizes available as per requirement. Internal condenser optional. Rotary vacuum dryers offer clean, simple and effective method of drying wet cake, powder and even slurry. Labor and energy costs are minimal compared to tray dryers and product losses during handling are also negligible. Additionally valuable organic solvents can be conveniently condensed and recovered. The drying in a rotary vacuum dryer is a batch operation under vacuum. It is possible to dry heat sensitive materials at well below boiling points of water and solvents. Drying time depends on material being dried, amount of solvent or water to be removed, desired final moisture content, permissible jacket temperature etc. The dryer is available in sizes ranging from 100 liters to 20,000 liters gross volume. The volume of wet material loaded into the dryer is usually restricted to 40-45% of gross volume. 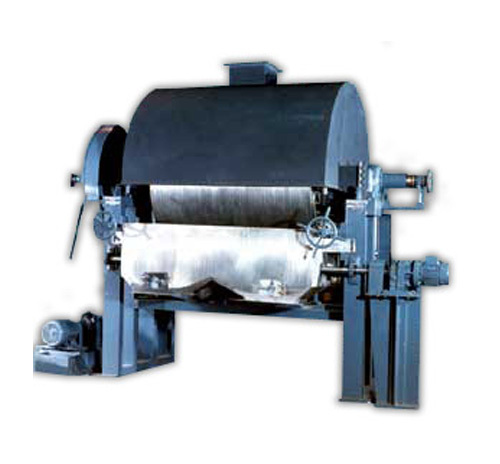 Equipped with different designs of agitators depending on the material to be dried. 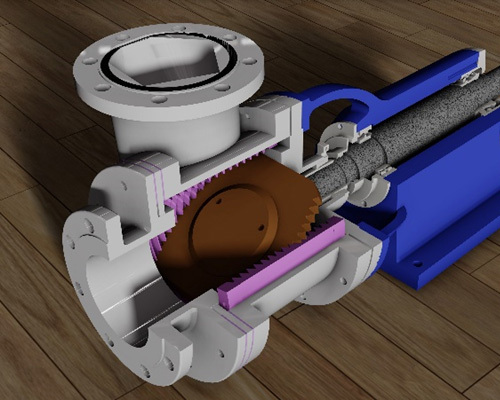 Unique quick opening discharge valve permits direct packing of dry product into bags or drums. Breaker rods are provided to prevent lump formation and allow quick and complete drying. Shaft sealing by mechanical seals is also available. 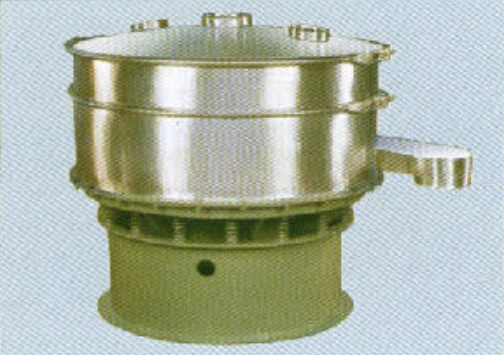 N2 pulse jet dust filter (self cleaning type). Sampling value sizes range from 100 LT. to 1600 LT. gross volume. 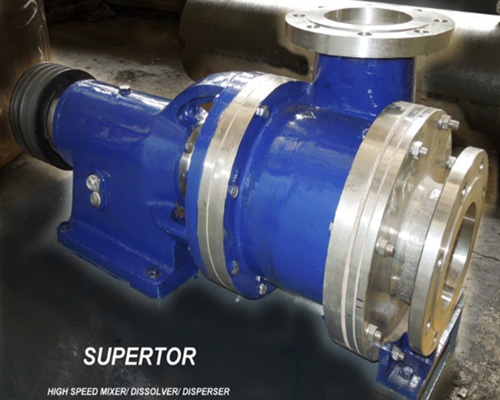 Supertor is a high shear pump like machine to handle Liquids & Slurries. It has saw tooth construction Stator & Rotor arrangement. This creates strong turbulence which can be used for achieving - Homogenizing, Grinding, Crushing, Delumping, Dissolution, Maceration, etc. The Supertor can crush, grind, homogenize & pump. An angular disc rotates in a cylindrical housing. Notched teeth in the Rotor disc meshes with teeth of Stator to effect disintegration & crushing - thus resulting movement generates thrust & shear stress causing acceleration of medium in both – axial & radial direction, resulting in intense mixing with pumping of the medium. Drum flakers (also known as cooling drums) are used for solidifying molten material. After Flaking operation, the material forms Flakes a form easily handled and is further processed or packed into containers for transport. A great advantage of flakers is that they offer a continuous process. The Cooling Drum dips in pool of Molten liquid in Trough (direct immersion), or indirect immersion using doctor/applicator rolls. The molten liquid is cooled on the outer surface of cooling drum and after a partial revolution; the cooled and solidified product is removed by a scraper in the form of flakes. 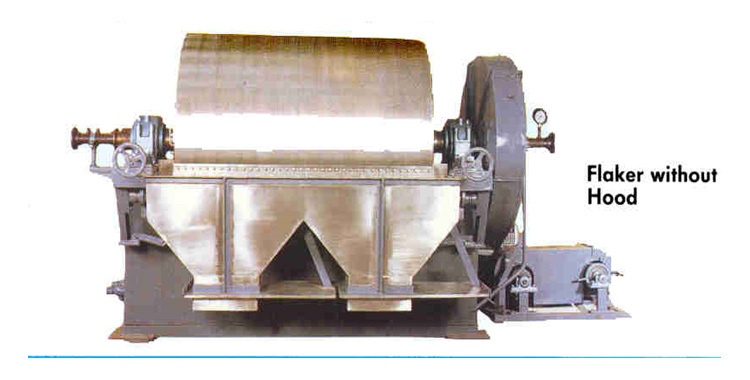 The cooling drum of the flaker is specially designed to provide an even cooling effect by having uniform and effective internal distribution of media. As a result, both high output and uniform flakes are produced. Variable speed drive arrangement for adjustment of the drum speed for optimum performance. Suitable for a wide range of chemical and pharmaceutical products. Contact parts can be stainless steel, carbon steel, and hard chrome plated depending on material requirements. 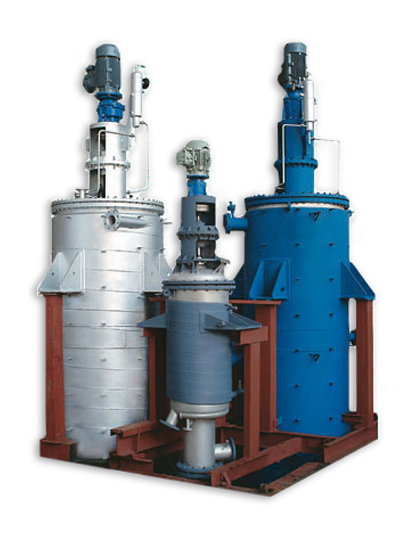 Vibro Energy Seperators are used for screening and grading of dry powders and screening of slurries. The machine is a proven performer for applications as diverse as abrasives, ceramic powders and slurries, chemicals, pharmaceuticals, powder coatings and slurries, minerals, metal powders, and food products. The machine is a rigid screening device that vibrates about its center of mass. Vibration is achieved by mounting eccentric weights on the top and bottom of a special heavy-duty motor with extended shafts on both its ends. Vibration can be varied by addition or removal of auxiliary weights and by changing the angle between the top and bottom eccentric weights. This allows control of amplitude as well as material flow patterns. A prototype system is available at its Thane Factory where trials can be conducted to determine feasibility, and equipment with guaranteed performance can be offered. 0.45 m² SS-316 50 to 100 litres 200 Ltrs. 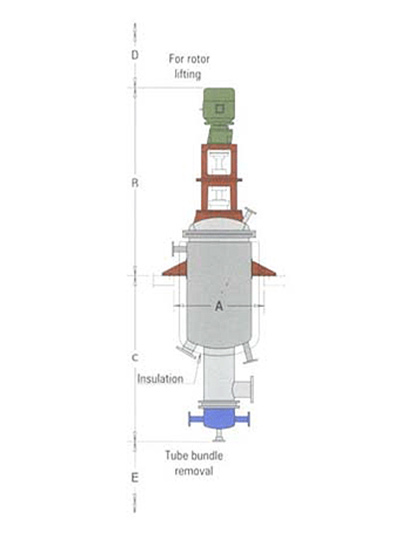 Shell- Full vacuum Jacket – 6 kg/cm²g (steam) Typical throughput for aqueous material is about 60 to 100 kg/hr. Parameters Vacuum – water Ring vacuum pump at approx. 700 mm Hg. Piston Pump with Booster – 0.5 mm Hg A. 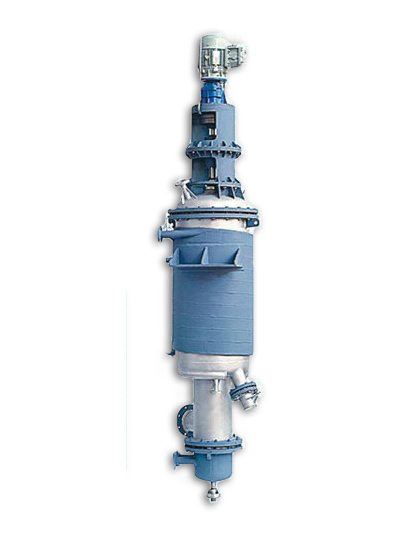 0.5m² SS-316 30 – 50 ltr/hr. 200 Ltrs. Shell- Full vacuum Jacket – 6 kg/cm²g (steam) Typical throughput for aqueous material is about 30 to 60 kg/hr. 19” dia SS-304 30 lit 20 to 50 kgs Meshes from 1/2” to 350 available. Throughput is in the region of 50 to 100 kg/hr depending upon particle size distribution. Hot water Hot water circulation system is available with appropriate pump and temperature control. Vacuum a) 100 m²/hr. double stage water ring vacuum pump with air jet booster. 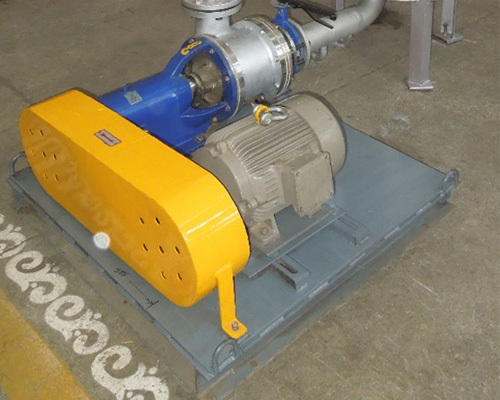 b) 100 m3/hr oil seal vacuum pump. c) 125 m3/hr Rotary piston pump. d) 1000 m3/hr Booster roots blower. Cooling water a) Water at ambient temperature from cooling tower. b) We can arrange chilled water circulation between 8 to 12° C for condensation of lower boiling materials. Dalal Engineering © 2018. All Rights Reserved.